I am going to start a new category called "Latest Work" It will be featured at the top of this page and link to a large picture of your latest work. I will change the image from time to time. Anyone want to go first ? 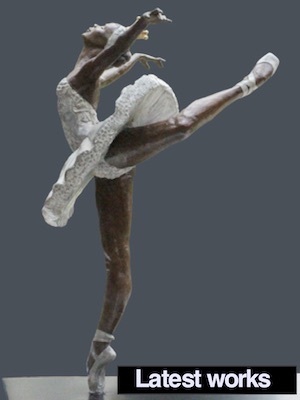 This is a "Labor of Love" designed to promote our cause, the figurative sculpture movement, so there is no cost. Categorization is the act of sorting and organizing things according to group, class, or, as you might expect, category. This noun is very similar in meaning to "assortment," "classification," and "compartmentalization."